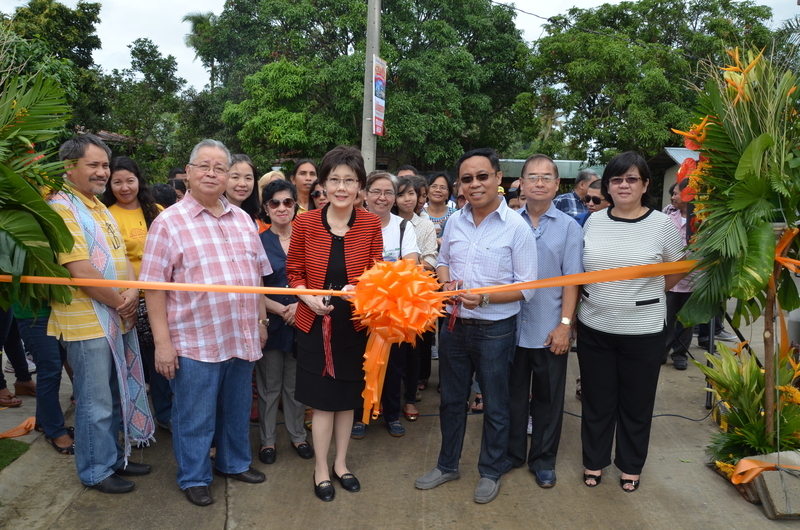 BINONDO, Manila – Leading real-estate developer Stateland, Inc. prides itself in launching its latest socialized housing project, Casa Laguerta, on Saturday November 29, 2014. Seated at the resort capital of the Philippines, Calamba City, Laguna, this rising community caters primarily to Filipino families seeking affordable houses without compromising quality and comfort. “Through our partnership with the Pag-IBIG Fund, we want to offer a decent starter home to minimum wage earners” said Stateland president Reynaldo T. Cometa. “Casa Laguerta is ideally situated in Calamba with a magnificent view of Mount Makiling. The project is also very accessible by public transport and is just a few minutes away from the SLEX – Canlubang exit”, he added. As a developer, Stateland’s excellence in housing and community development contributes to the nation-building effort of the housing sector. Casa Laguerta is the epitome of the company’s mission to deliver quality and innovative products and services to its customers and to make meaningful contribution to national development. With the aim to cater to more clients, Stateland ventures in socialized housing development consequent to its economic housing counterpart, Gran Avila, which was launched last March 2014. 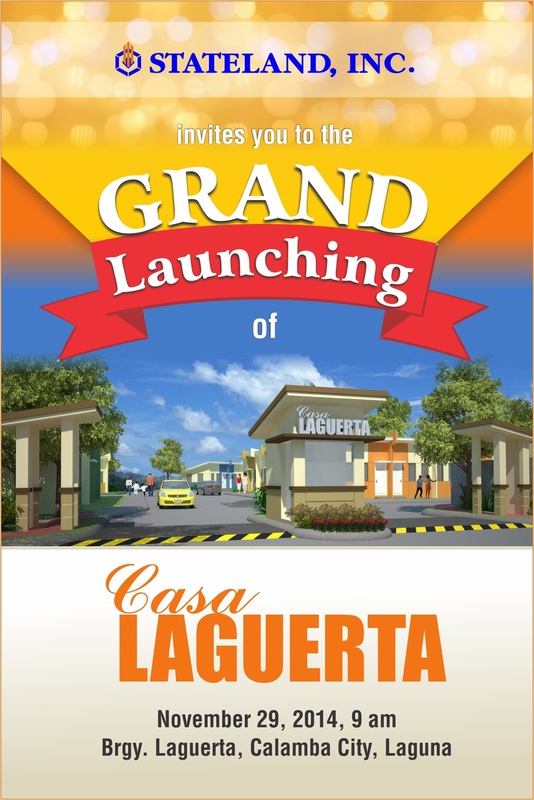 CASA LAGUERTA is just one of the many plans that the company has in store in serving the housing needs of the country. With its desire to end the year on a high note, Stateland, Inc. encourages clients to invest their hard-earned money on a lasting home investment they can be proud of. For the holiday season, Stateland also launched its “Be Home for Christmas” promo which comes with exciting gifts and incentives for buyers. 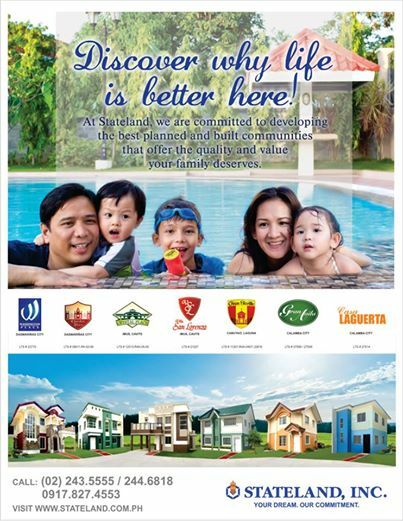 For more information please visit www.stateland.com.ph or like our official Facebook fan page www.facebook.com/StatelandInc. Interested parties may also call 244-6818, 244-6877, and 0917-827-4553.